He said that the variety PBW 725 of bread wheat has been released for cultivation in the Punjab state under irrigated timely sown conditions. 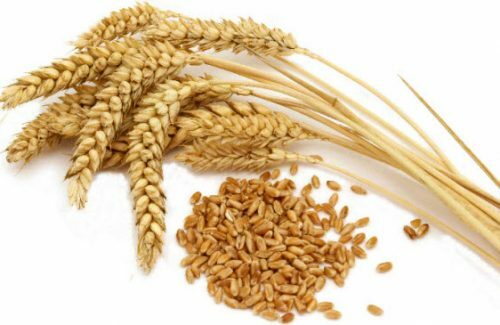 The variety possesses a combination of several desirable traits like high grain yield, resistance to yellow and brown rusts, and good grain quality. He said that it is a double dwarf variety with an average plant height of 105 cm. Its ears are medium dense and tapering in shape with white smooth glumes. Its grains are amber, hard, medium bold and lustrous. It matures in about 154 days. Its average grain yield is 22.9 quintals per acre which is 7.6 per cent higher than that of the pre-dominant wheat variety. He further said that the variety Punjab Celery 1 is the first celery variety developed by PAU and has been released for cultivation in the Punjab State. Its seeds are brown in colour with characteristic odour and pungent taste. These contain 1.9 per cent essential oil with a total oil content of 20.1 per cent. The variety starts bearing flowers in the month of March and matures in 140-150 days after transplanting. Its average seed yield is 4.46 quintal per acre. He said that very positive feedback on new wheat variety PBW 725 was received from the farmers of the state during last crop season.